With the events that we organize, we aim to inspire, share, and take you by surprise with experimental points of view. Our events stimulate and encourage taking a critical look at your own concept. At a specially selected location, based around a theme that is relevant to us all. Always with an arresting mix of speakers, workshops, samplings, and other applicable food-related activities. 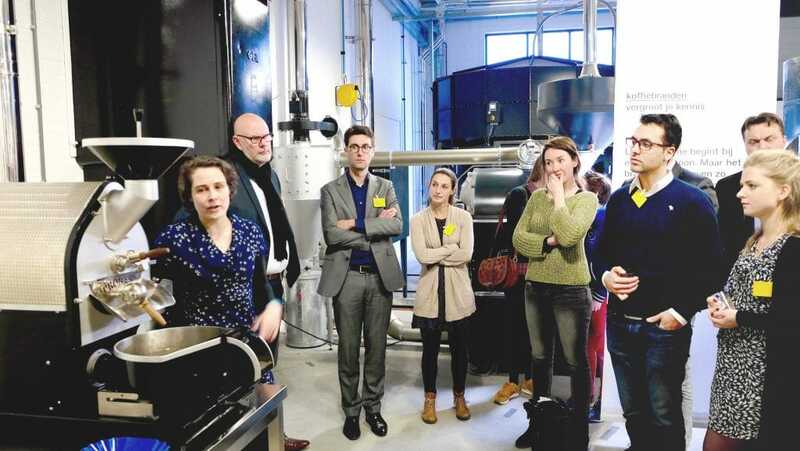 Recently enbiun organized a Coffee Event at Special Roast Amersfoort. The guests were welcomed with a cup of coffee at the enbiun coffeebar. In this experimental 'coffee bar of the future' food and coffee came together in diverse forms. 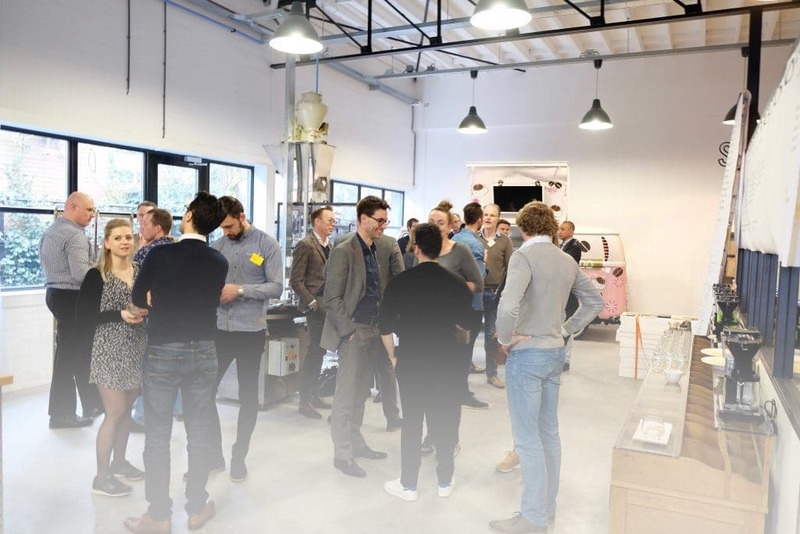 The coffee bar of the future is dynamic and adapts to the moment of the day. In the morning it's a to go concept with selling at the window. In the afternoon it transforms and you will find coffee in a mug or a papercup. Later in the day the dynamic shifts to the interior with a long table and an intimate tablesetting for dinner. The food assortment changes with the meals that are served. These all match with the taste of the coffees. 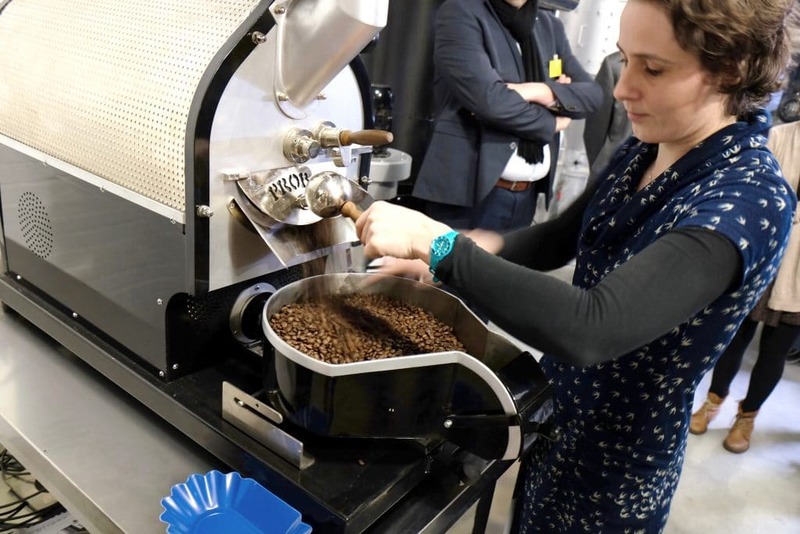 In the modern and industrial designed coffee roaster Special Roast, companies can compose and roast their own coffee. The interior emphasizes the total coffee experience: from the green bean to coffee tasting and barista training. 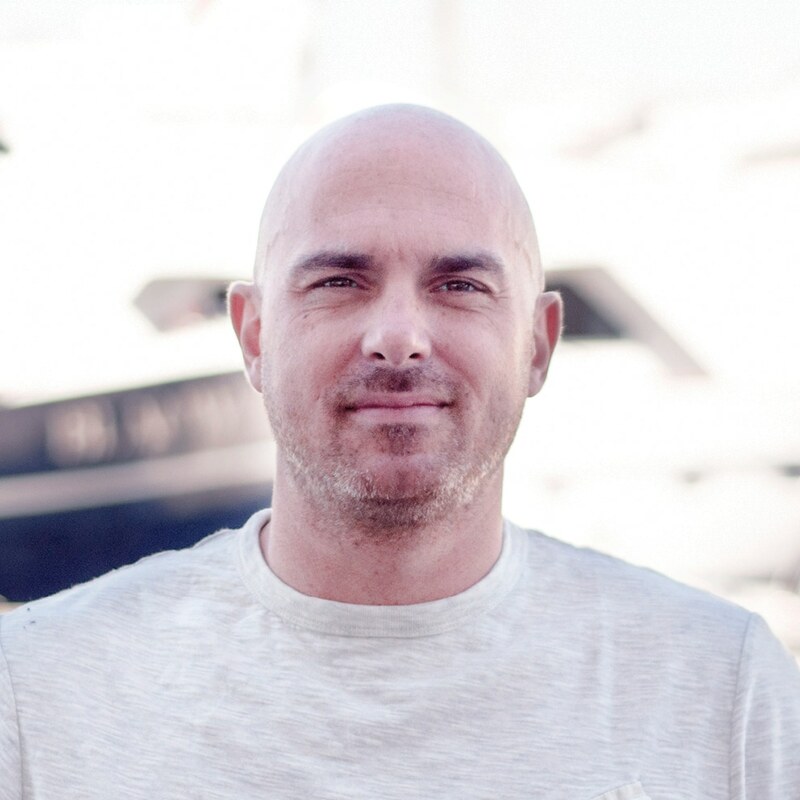 Jon Morris shared his vision on the coffee market and why the Millenials are the biggest influencers at the moment. This generation drinks much more specialty coffees than any other focus group. They are looking for the why of coffee and want to be involved with the process and really experience coffee. Mark inspired us with his story about the single origin chocalate that he produces. Every type of chocolate is originating from different regions. The differences in taste between the regions are, like with coffee, enormous. The chocolates can be well combined with the different kinds of coffee. After the inspiring speakers we went into practice with the experienced roasters of Special Roast. They told us everything about the roasting process and making of coffee. The barista's showed us how the best en most beautiful coffees are being made. 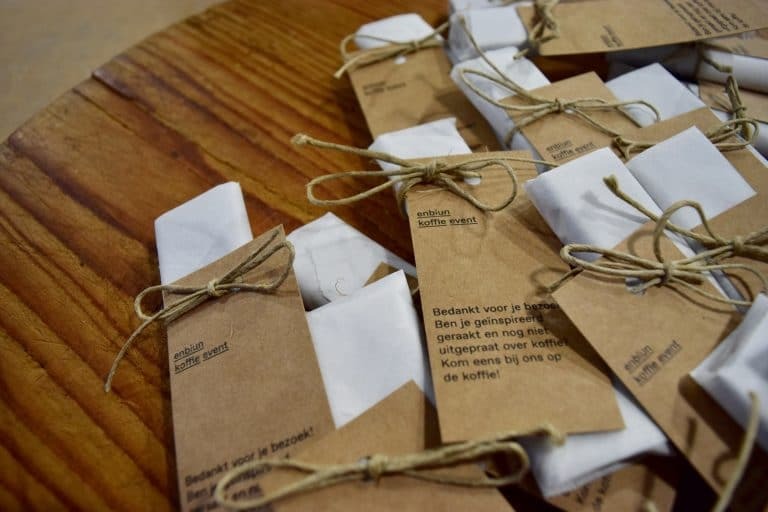 At the end of the event we served a snack of oyster mushrooms, grown on coffee grounds from GRO Mushrooms, accompanied by coffeebeer of the Amsterdam Brewboys. 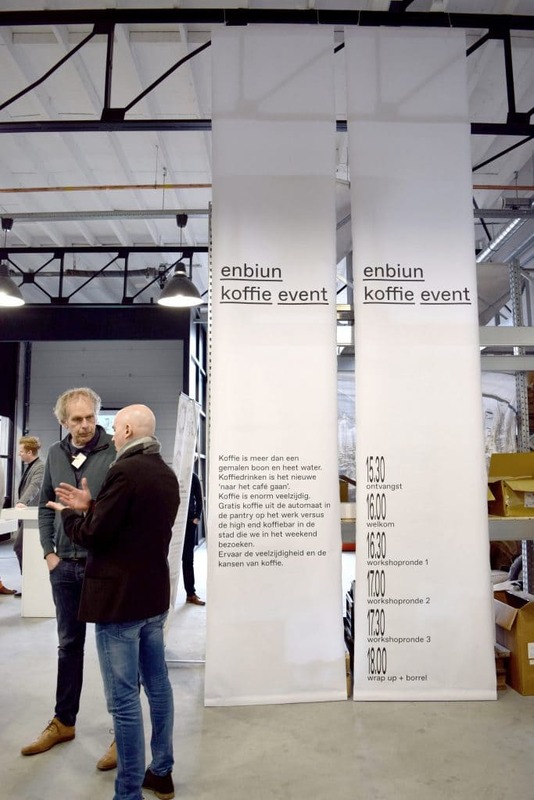 An enbiun event is een great way to network and meet people. 1 to 2 times a year we organise an event that responds to the developments in the market and meets an interesting and fresh point of view. Are you interested in a special event for your company at a great location? Please contact Jan Willem van der Sande.